DVDFab is all you need to backup DVDs. 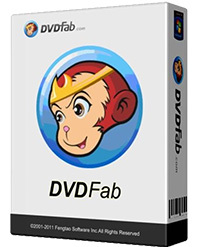 DVDFab Platinum is brand new, is completely rewritten, is based on 5 years of DVD copy software development. DVDFab is simply the easiest way to copy a DVD movie. Just insert the movie and a blank DVD then press Start. Your entire movie – including menus, trailers and special features – is copied to a single DVD with just one click, and everything happens automatically. Backup your entire DVD including menus, trailers, and special features – onto one or multiple discs. 6 DVD to Mobile copy modes available: Generic, iPod, PSP, Cell Phone, PVP and PDA. More devices support can be added manually. Generic: Convert DVD title to PC MPEG-4/DivX/XVID/H.264 AVI/MP4 file. It also supports all other devices which are not listed in navigation bar. FREE lifetime support via e-mail, worldwide. New: Added the support to remove the Cinavia watermarks found on the Spotlight (2015), Dope (2015), Zero Dark Thirty, The End of the Tour, Adventures in Zambezia and A Single Shot.